A computer with properly selected software provides aid in recreation of the disabled people. Its benefits are undisputable – assistance in individual physical, intellectual and psychical development. However, it seems that like in the able-bodied environment also here one should consider more or less conscious social isolation resulting from fascination by virtual world. It is more likely since the isolation is still fuelled by a problem of architectonic and psychological barriers that still exist in the environment and are not experienced in the cyberspace. The subject of presented research is a comparative analysis of sport-oriented behaviours of disabled young people against the background of trends related to the rapid development of computer games. 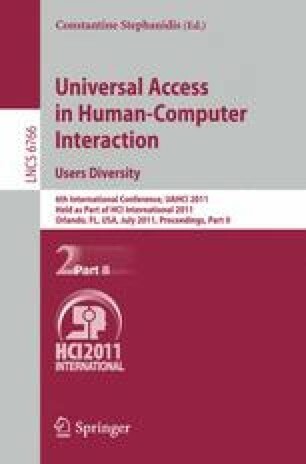 The first part of the study discusses problems of active recreation in the Polish society and video games development directions with particular focus on the needs and restrictions of people with disabilities. The application section presents the research work targeted on the one hand to define the role of virtual competition of disabled youth in their everyday life and on the other, to check how it may jeopardize the health-oriented sports competition in the real world.